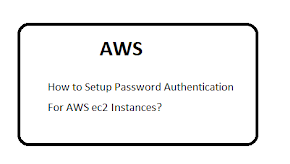 Question: What is the difference between Amazon S3 and Amazon EC2 instance? Amazon S3: It is just storage service where you can upload photo, video, audio, pdf etc any type of files upto 5 terabytes (5Tb). It store data as a object, you can't install any software like MS office, VLC player, Adobe etc. You can import/export data from/to S3 and also can access via cloudfront. EC2 instance: Launching a EC2 instance is similar a create virtual computer (windows, linux) where you can install software unlike S3. You can customize the configuration like volume(storage), RAM, CPU etc. 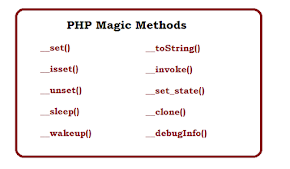 Question: How to copy files from one bucket to another? Login to SSH using ip address and ppk file. Question: Can we change the availability zone of an existing EC2 t1.micro instance? No, you can not do. for this, you need to launch new instance from existing instance. Question: What is Availability Zones? Amazon EC2 is hosted in world-wide. 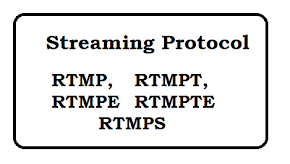 These locations are composed of regions and Availability Zones. Each region has multiple, isolated locations known as Availability Zones. Question: How to move files directly from one S3 account to another? S3 Browser works on windows. 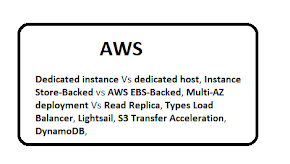 Question: AWS Difference between a snapshot and AMI? A snapshot is of an EBS volume where you save at a certain point of time. 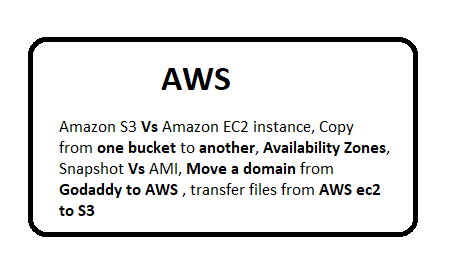 An AMI is similar, but its for the EC2 instances themselves. you can create a AMI but can't do snapshot. Question: What is the maximum length of a filename in S3? Question: Question: What is private hosted zone?